The Amazing Benefits of Himilayan Salts! 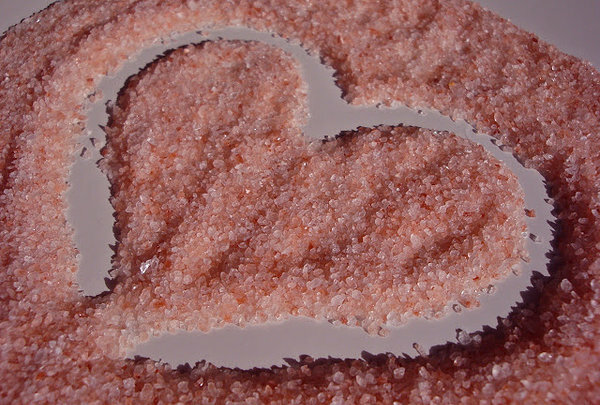 Salt is a delicious addition to any meal and is even beneficial to your health. Sodium regulates fluid in the body, helps with nutrient uptake into the cells, and maintains the normal Ph levels in the blood. All of this helps transmit nerve signals throughout the body, aids in muscle contraction and even helps to maintain proper digestion. However, when talking about table salt, it can also have negative effects in the body. It has been shown that it can raise blood pressure which is one of the main causes of stroke and heart failures. It can also cause water retention, kidney stones, stomach cancer and can raise the risk of diabetes. Several synthetic chemicals are also added to table salt making it even toxic to ingest. This is one of the reasons many people have been told to reduce or totally cut salt out of their diet which can be challenging since salt is found in everything we eat unless it is prepared fresh. Himilayan salt, found in the Himilayan Mountains offers the solution to eating a healthy salt without the detrimental side effects. In fact, it contains 84 trace minerals and elements found in the body making it a healthy salt option versus table salt that has been stripped of almost all of its minerals. Some of the benefits to eating himilayan salt are better sleep, aiding in vascular health, improves circulation, aids digestion, helps detoxify the body, and many others. Instead of limiting your salt, look at cooking more wholesome home cooked meals at home and add some Himilayan salt instead of table salt! ← Celebrating a great weekend at PrideFest!